If you’re an avid reader of US Harper’s Bazaar like ourselves, you’re aware that the magazine often goes down the same (sometimes cheesy) route when it comes to its cover shoots. 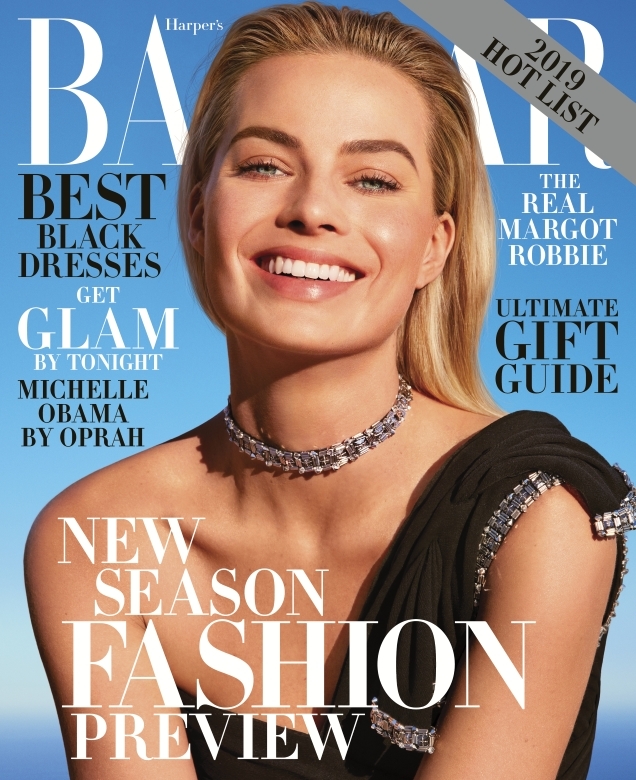 Back in March, Jennifer Lopez was captured flying above downtown Los Angeles, Julia Roberts took us rock climbing last month and now, Margot Robbie swings high above the hills of Malibu for Bazaar‘s December/January issue. In the bright newsstand cover (below), the Chanel brand ambassador is all smiles, flashing her pearly whites for photographer Camilla Akrans in a look from Chanel’s Fall 2018 Haute Couture collection as she finally makes her US Bazaar cover debut. The all-important question remains: were our forum members impressed? “Radiant smile, but this is such a cookie cutter US Bazaar cover! Imagine Reese [Witherspoon] in this in 2007. This magazine is a lost cause. And what’s happening with her eyes?” wondered Benn98. “She looks strangely plastic on that cover, like a Barbie doll or Stepford wife with a fake smile. Shame because she’s easily one of the most gorgeous actresses out there at the moment,” wrote Morgane07. “Why such high level of cheese? I know it’s US HB, and Glenda [Bailey], but damn, how long will this woman be employed before the Hearst suits realize just what a joke HB is?” asked Miss Dalloway. “Not great – luckily Margot is so beautiful that she manages to look good even with half-open eyes but surely they could have used a better shot of her,” said SallyAlbright. HeatherAnne wasn’t feeling it, either. “It looks like a shot that would be in a lower tier department store advertisement… yikes. She’s so beautiful, and they made her look so cookie cutter generic,” she complained. Think Margot deserved better? Share your thoughts with us here.